Our experienced arborists are dedicated to providing professional and affordable tree services that exceed the expectation for our customers. Whether you are looking to improve the structure of your trees, are concerned about their safety, want a stump removed or need some advice, we can help. We are available for all forms of tree work, any species, any size or height, fully insured and our range of services include felling, branch removal, dead wooding, lopping and formative pruning, stump grinding, transplanting and planting. In most instances our staff will try to avoid lopping trees. Although in some cases it is unavoidable. Generally we like to promote strong growth and structure of healthy wood through formative pruning specific to Australian Pruning Standards. By doing this we are nurturing the tree’s shape as well as styling it so that it is visually appealing to the eye. Often upon felling a large tree there is left an unsightly stump. Using a broad range of techniques and machinery, we at Northern Beaches Tree Service specialize in stump removal no matter what the species, circumstances or site access may be. 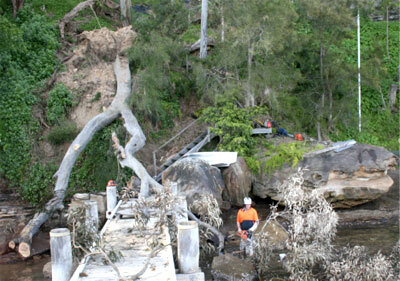 Northern Beaches Tree Service is founded on expert knowledge of trees and the horticultural environment of Sydney. Qualified Arborists are available to give professional advice so as to have your trees and garden growing in the best possible way. Arborist reports cover everything from town planning applications, vegetation management plans and for and fauna assessments and tree reporting. Tree reporting includes assessments of trees, tree hazards, tree treatment or protection an tree replacement. As part of this we identify pests, termites, diseases, native trees, weeds and exotic species. In times like these we are seeing much more inconsistency with weather predictions. The elements are often chaotic with wind and rain wreaking havoc on houses, gardens and trees. Although a thorough and routine maintenance program is always best, nature and trees can be unpredictable. Please note that if the trees / branches are not on your property, we do not have authority to remove them. Contact your local council or the State Emergency Services on 132 500. 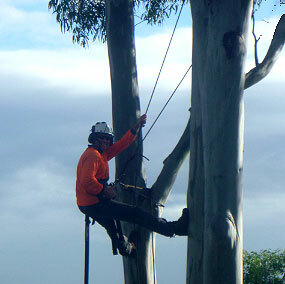 Northern Beaches Tree Service is available 24hrs day and night for any emergency call out. 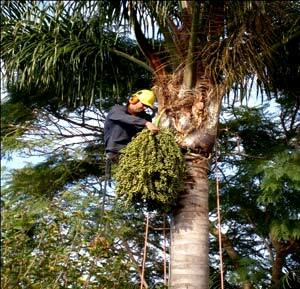 Palms can become very untidy and the fronds can be dangerous if they fall. We can de-frond and de-fruit your palm trees to ensure they look great and are safe and healthy. Palms can live up to 100 years if looked after properly. 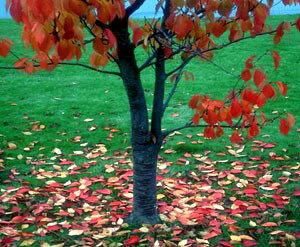 You choose whether you would like any tree material taken away or mulched for use in your garden. All sites are fully cleaned upon job completion.